Design Manufacture/sale and installation of custom Cabinetry, Custom trim, millwork, Architectural room dividers and designer closet doors and more. Society Hill Kitchens & Custom Interiors is a unique company, which offers innovative contemporary and traditional classically designed products for the modern home. The core of our business is Custom manufactured cabinetry. In addition to custom cabinetry, we offer many other custom manufactured items such as architectural room dividers and designer closet doors. We are an American company with multigenerational European manufacturing roots. Our focus is on providing custom quality cabinetry at an unbeatable value. We offer European and American styles, and luxury brands such as Allmilmo, Rutt, Craft Maid, Cucina Lube’Italia, Luxor and Euro Kraft (our parent company). Contact us for the best contemporary and traditional style cabinetry and related products available. Please Call 215-238-9414 for a free consultation appointment or visit our showroom. 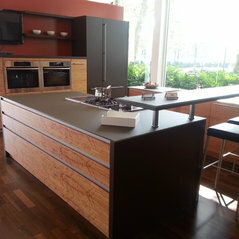 We manufacture and sell our own luxury Euro Kraft custom brand of cabinetry as well as Rutt, Allmilmo and Lube'Italia. We manufacture custom trim and associated architectural millwork for kitchens, bath as well as other innovative custom designer items such as European designer closet doors, architectural room dividers wardrobes and fine furniture. 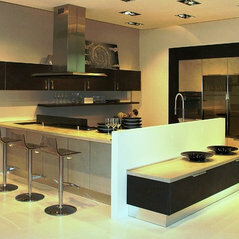 We provide or assist with design and installation. Majority of projects on the East Coast of US but not limited. 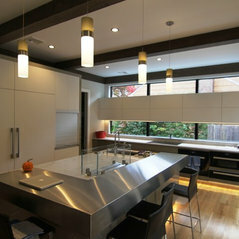 We recently had SHK install semi-custom replacement kitchen cabinets and counter top. Although this was a relatively small project, Henry treated the job with the utmost attention.